Probably a selected form of a native willow, no one seem quite sure what species this is--so it's just Flame. 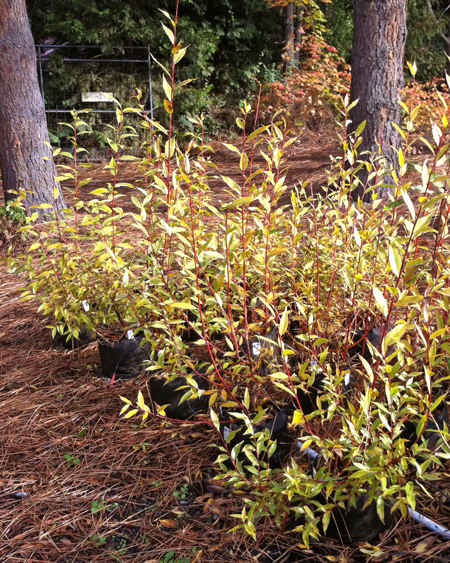 Use this to add bright color to the winter landscape; it's ideal with Redtwig Dogwood. 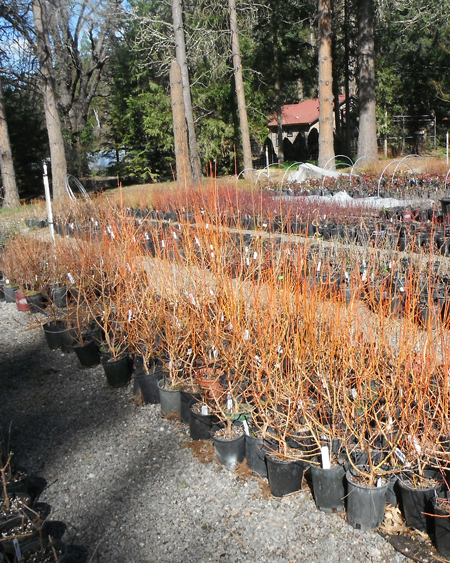 All willows are among the best of wildlife plants. They provide cover and shelter for birds and small mammals, and for fish, too, if planted near water. Many butterflies sip the nectar and use the leaves for their larvae. Flame is a good size for the smaller landscape. It is dazzling when planted in large drifts along a stream or through a damp field. Flame is a descriptive name; the orange-red winter bark is subtly shaded with gold, like a flame. The branches curl upward and inwards with good form, usually about four to six feet tall, but occasionally to as much as twenty feet. This excellent variety has dark green leaves, 4inches long, which turn golden yellow in the fall and persist. It does not have catkins. Like most Willows, Flame prospers in deep, moist soil in full sun. 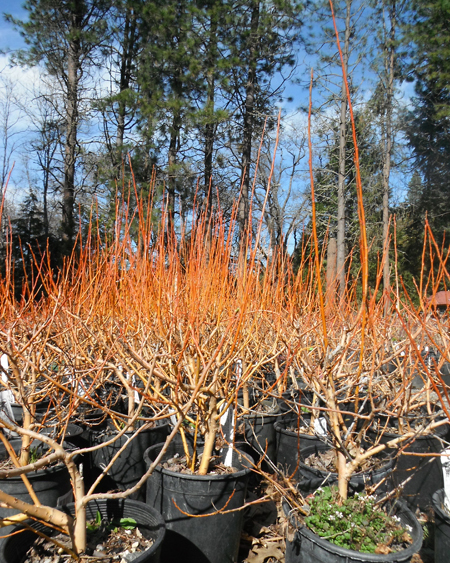 Leafless twigs provide vibrant color!